Enjoy the fun and excitement of trying to find a way out? 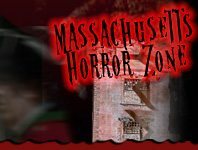 Kid friendly mazes and corn mazes are abundant in Massachusetts. Visit one of the local Maze attractions or farms for a fun-filled day of adventure running through the maze in search for treasure, or simply a way out. It makes fun family activity to do together this Halloween season! Kosinski Farms Westfield 198 days ago Rate Now! Meadow View Farms Fall Fun Southwick 187 days ago Rate Now!